Free BitTorrent client written from scratch in C that aims to be as efficient as possible. Now available for Windows. 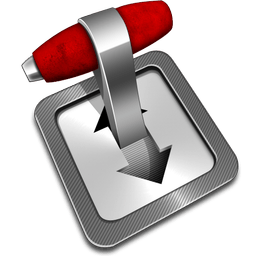 Transmission has been built from the ground up to be a powerful, yet lightweight BitTorrent client. Its simple, intuitive interface is designed to integrate tightly with whatever computing environment you choose to use. Transmission strikes a balance between providing useful functionality without feature bloat. Furthermore, it is free for anyone to use or modify. Transmission runs natively on over five operating systems. Seamless configuration of your network, intelligent banning of peers who send corrupted data, and built in Peer Exchange are some of the features which enable Transmission to download your files as quickly as possible. All this is done in the background, without the user having to worry about complicated settings. These days, bandwidth is a precious commodity. Transmission allows you to ration this commodity efficiently. You might want to queue your torrents for maximum performance. Or throttle their speed during peak periods. Transmission easily lets you do both, and thus only works its hardest when you want it to. Support for Growl notifications and dock badging keep you updated with what's going on so you can get back to doing more important things. NOTE: Transmission is fully open source, with most code licensed under the liberal MIT License and with select code licensed under the GNU General Public License.